The initials in the CW Boxing Club and the CW Youth Resource Center belong to Carl Washington, the founder and director of longstanding programs making a difference in the lives of at-risk young people. My story for The Reader (www.thereader.com) about Carl and the work he does to keep kids on the straight and narrow touches on what happened in his life to prompt his commitment to mentoring and coaching. 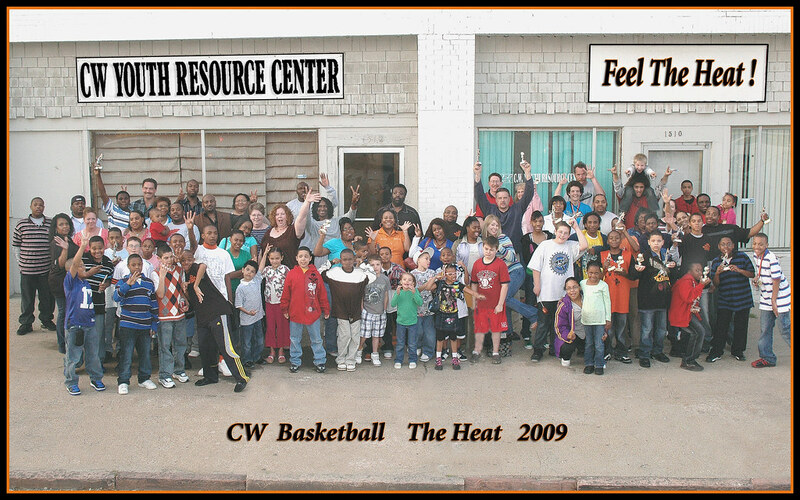 Organizations serving at-risk kids come and go but few stay the course the way the CW Youth Resource Center, 1510 Cass Street, has since opening in 1978. Founder-director Carl Washington hosts a Nov. 29 open house at CW from 4 to 8 p.m. to celebrate 35 years of structured youth activities. His experience mentoring youth began a decade earlier, when he was like a big brother to his nephew Howard Stevenson. After Stevenson was shot and killed by an Omaha police officer in the wake of a 1968 civil disturbance in North Omaha, Washington was angry. A bully and street fighter at the time, he went to the old Swedish Auditorium boxing gym looking to release his rage. That’s Ron Stander, aka the Bluffs Butcher, who fought heavyweight champion Joe Frazier in a 1972 title bout. But when Washington first laid eyes on him Stander was still a pudgy, no-name amateur. After weeks pestering coaches to let him spar Stander, the exhibition was set. Washington was so confident he brought an entourage. He knew he’d miscalculated when he landed his best blows and Stander didn’t even blink. The first punch Washington absorbed was the hardest he’d even been hit. After a few more punishing shots he feigned injury to end the onslaught. Washington wanted to quit the sport right then but Stander encouraged him. The two men became friends. While Stander went on to make boxing his career, Washington only fought a year. Well-schooled by the late trainer Leonard “Hawk” Hawkins, Washington saw his true calling not as a fighter but as a coach. He believed boxing could give kids a safe activity in place of running the streets. He first tried forming the gym in 1971 but it didn’t take. Seven years later he gave it another go, this time with help from two mentors. A lifelong inner city resident, Washington daily saw unsupervised kids getting into mischief and brawls, hungry for structure, and he felt he could give them the healthy alternative they needed. He’d have two dozen youths training in his basement at one time with another similar-sized group out on a long run before they took their turn hitting the bags. CW took the local amateur boxing scene by storm, winning hundreds of individual and team trophies at smokers and the Midwest Golden Gloves. “A couple years we won every weight division,” he says of the Gloves. He bemoans the lax standards commonplace today. He insists boxing’s a useful tool for instilling values. He says that discipline carries over to school, work and family life. The kids he started with are now parents and send their kids to him. Terence “Bud” Crawford is a once in a lifetime phenom who came up through the CW ranks and now is on the verge of fighting for the world lightweight title. He remains loyal to the CW, where he still trains under the man who got him started there, Midge Minor, and is managed by another CW alum, Brian McIntyre. In its early years CW was a predominantly African American gym. Its fighters weren’t always well received. “We ran into a lot of negativity in the beginning. Some cities we boxed in weren’t too friendly. It seemed like the ones closest to Omaha were the unfriendliest,” says Washington. He recalls that before a Wahoo, Neb. boxing show his fighters got debris and racial slurs hurled at them. They silenced the crowd with excellence. He says he put on the first gang reconciliation concert back in the mid-1980s when he was doing gang prevention-intervention work before it had a name. He cobbled together support from grants, donations, fundraisers and raffle sales. At the boxing gym’s peak, he says, “We were going all over the country with kids in the car to boxing shows and coming back with a lot of trophies.” But he feels CW was never fully embraced by its hometown, where fans booed the club’s fighters when the national Golden Gloves were fought here. Boxing’s also lost kids to martial arts and other activities. Though CW doesn’t have as many competitive boxers as it once did, he’s seeing more kids come as a result of Bud Crawford’s success. He scaled down the club’s entertainment facets after frictions surfaced between performers. He stopped holding concerts after a drive-by shooting outside the club. He recently formed a hoops program as a new outlet . For more information about the CW’s programs, call 402-671-8477.